Are you worrying about these following problems? You can't find right bottles to storage spices; it's difficult to pour with bags when in cooking; inconvenient to master the quantity of spices... Now, this rotating seasoning bottles set can help you a great favor. 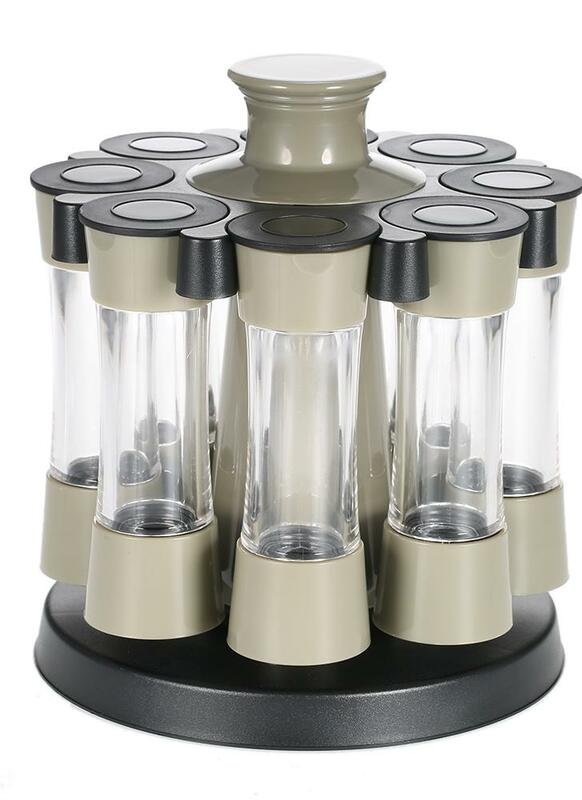 It includes 8pcs bottles with the same size, hanging on the carousel base, which is very practical and convenient for most family use. Buy 8pcs Rotating Spices Bottles/Set Acrylic Seasoning Rack Salt Pepper Storage Organizer Home Kitchen Tool from Chicuu. Best affordable Cooking Tools & Gadgets online store, cheap discounts are waiting for you.